You are here: Home / Blog / After a Divorce / Should Divorced Parents Vacation Together? Should Divorced Parents Vacation Together? While, for many people, getting divorced means going their separate ways, in recent years it has become increasingly common for ex-spouses to spend time together once their marriage is over. This is particularly true for parents with young children, many of whom choose to set aside their differences in order to co-parent during their children’s developmental years. But, when it comes to co-parenting, how much is enough? How much is too much? While it is generally recognized that co-parenting can provide additional comfort and stability for young children after a divorce, experts suggest that spending too much time together after a divorce can have some potentially-negative effects as well. You are recently divorced, but you and your former spouse are on speaking terms and co-parenting has, thus far, gone fairly well. You are thinking about going on vacation, and you are thinking it might not be a bad idea to invite your former spouse along. But, should you? 1. Going on Vacation is Not the Same as Meeting Up from Time to Time. When you go on vacation, you and your former spouse will likely be spending a lot of time together—much more than you would under your normal co-parenting schedule. In order to make the vacation work for everyone, and your children in particular, it will be necessary for you and your former spouse to get along the entire time. 2. Will Your Children Get Mixed Signals? My parents just got divorced, and now they are going on vacation together? For children, going on vacation as a family after a divorce has the potential to send mixed signals. It can also make them feel like they are not the center of your world at a time when they themselves are struggling with your divorce. If you decide to go, it will be important to make sure your children fully understand your family’s circumstances so that they are not left confused and feeling even more alone. 3. Will Your Children Get False Hope? Going on vacation as a family can also give children false hope that their parents might get back together. In order to avoid this issue (or at least mitigate it to the extent possible), parents should talk with their children before going on their trip to make sure they understand that while their parents love them, they do not love each other. As parents, your feelings have changed for the other parent but not for the children. 4. You May Need to Address Parenting Time Before and After the Trip. Unless you and your spouse built joint vacations into your parenting plan, your vacation will represent a deviation from your standard schedule. As a result, when you plan your vacation, you will need to make sure that you and your spouse are in agreement over how to account for the shared time. 5. Will Paying for the Vacation Be a Source of Conflict? Money is a common source of conflict for spouses and ex-spouses alike. Have you and your spouse gotten into disagreements over money in the past? Could the outcome of your divorce have had an impact on your former spouse’s disposable income? Here too, planning ahead will be important to mitigating the risk of any potential undesirable consequences of a post-divorce family vacation. 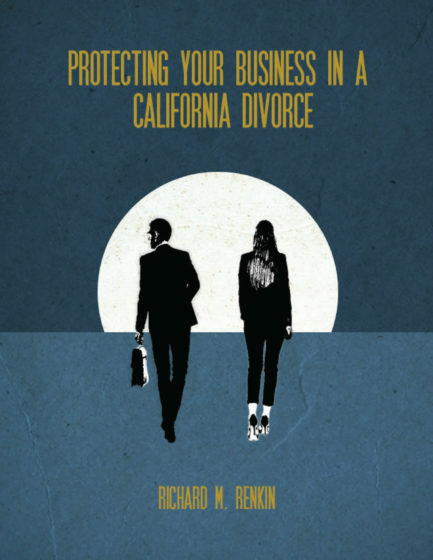 Law Office of Renkin & Associates is a North County, San Diego family law firm that represents parents before, during, and after the divorce process. If you are contemplating a divorce or a post-divorce family vacation, or if you simply have questions about your family situation, you can call 888-837-3564 or contact us online to request a confidential initial consultation.